George Vithoulkas is one of most well known homeopaths in the world and is considered among the finest homeopathy teachers of all times! In 1996, he was honored with the Right Livelihood Award (also known as Alternative Nobel Prize, www.rightlivelihood.org) for his outstanding contribution to the revival of homeopathic knowledge and the training of homeopaths to the highest standards”. In 1995, he established the International Academy of Classical Homeopathy in Alonissos, Greece, where he is Head of Education Department (Educator). In this Academy, George Vithoulkas presents his knowledge gleaned from 40 years experience and teaches his most up to date theories on the levels of health. Every summer groups of doctors from various countries gather to be trained at the Academy. They come from Germany, Italy, Sweden, Norway, United Kingdom, Russia, the U.S.A., Canada, Austria, Japan, India, Mexico, Brazil and Greece. 9.000 medical doctors and homeopathic practitioners from 32 countries have been trained in International Academy of Classical Homeopathy. The International Academy of Classical Homeopathy is recognised by the LMHI (Liga Medicorum Homeopathica Internationalis) as a qualified provider of education in classical homeopathy. LMHI represents homeopathic physicians and medically trained practitioners worldwide. Since 2007, in Greece there has been a Master in Classical Homeopathy offered by the Aegean University, in collaboration with the Hellenic Homeopathic Medical Society (HHMS) and the International Academy of Classical Homeopathy, G. Vithoulas (IACH). The MSc is officialy recognized both in Greece and European Union. This is a unique chance to learn homeopathy with George Vithoulkas while you sit at home. The online homeopathy course contains all you need to become an excellent homeopath - you will understand the principles of homeopathy and learn how to apply them. The program is also a chance for experienced homeopaths to deepen their understanding, increase their knowledge and learn what until now was only available to those who traveled to the Greek island Alonissos. This is a complete distance learning homeopathy course / program that can help you establish yourself as a good classical homeopathic practitioner, a program that can give wings to your homeopathic dreams – of studying at the best institute globally, under the best guide in the world, and of becoming a very fine classical homeopath! Through this course, you will understand what is important within the patient for prescribing and what is important within the Materia Medica on which to base the prescription. You will learn to spot remedies you would never have been able to find without the clear and structured teaching for which George Vithoulkas is famous. The theory of the Levels of Health will enable you to understand the process your patient is going through and you will understand what potency to apply, when, how often to repeat it and what action/reaction to expect. You will learn when an aggravation will happen or why sometimes you may see first an amelioration on certain symptoms and then an aggravation after which a long standing amelioration takes place. The structure and clarity of the teaching will lead to competent effective prescribing. You will have the opportunity to see how George Vithoulkas analyses many cases, how he takes the case, how he synthesizes the information in order to find the correct remedy, information about differential Materia Medica, strategies of homeopathic prescribing and overall you will attend an excellent high standard and quality of teaching. George Vithoulkas was born in Athens in 25.7.1932. George Vithoulkas is Honorary Professor at the University of the Aegean, Greece, Honorary Professor at the Moscow Medical Academy (Academy of Medical Sciences), Professor at the Kiev Medical Academy and Collaborating Professor at the Basque Medical University (2001-2004)3 and Doctor Honoris Causa of "Doctor Viktor Babes" University of Medicine and Pharmacy of Timisoara in Romania. In 1996, he was honored with the Right Livelihood Award (also known as Alternative Nobel Prize, www.rightlivelihood.org) “…for his outstanding contribution to the revival of homeopathic knowledge and the training of homeopaths to the highest standards” 4. The United Nations (Development Forum) consider this award “Among the world’s most prestigious awards”, while TIME Magazine called Jacob Uexkull, the award’s initiator, one of the 37 “heroes” of 20055. In 2000, George Vithoulkas was honored with the Gold Medal of the Hungarian Republic, by the country’s President, Arpad Goncz, for his work in the homeopathic medicine6. 1n 2012, he was honored with the Honorary Award of National Medical Academy of Postgraduate Education in Ukraine named after P.L.Shupyk" (George Vithoulkas - Honorary Professor, a distinguished scholar and teacher). In 1995, he established the International Academy of Classical Homeopathy in Alonissos, Greece, where he serves as Head of Educational Department (Educator). In this Academy, George Vithoulkas gives over the knowledge gleaned from his 40 years of his experience and teaches his most current theories regarding levels of health. In his teachings, he provides detailed information that both helps doctors determine each patient’s state of health, as well as facilitates their ability to estimate whether a case is curable with homeopathy and the amount of time and remedies that will be needed to accomplish a cure. Every year, during the summer months, groups of doctors from various countries gather to be trained at the Academy. They come from Germany, Italy, Sweden, Norway, United Kingdom, Russia, the U.S.A., Canada, Austria, Japan, India, Mexico, Brazil and Greece. 9.000 medical doctors and homeopathic practitioners from 32 countries have been trained in International Academy of Classical Homeopathy. 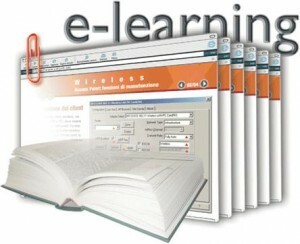 On 1st June, 2010, International Academy of Classical Homeopathy launched the E-Learning Program in Classical Homeopathy http://www.vithoulkas.edu.gr This program is an academic, on-line program based on the highest educational standards according to the homeopathic principles of Samuel Hahnemann. Professor Vithoulkas is a peer reviewer of the journals “Medical Science Monitor”, “Homeopathy” (Elsevier) and “British Medical Journal”. He participates, as supervisory professor, at elaboration of doctoral thesis. His books have been translated in 23 languages. Seventeen of his books, in various languages, are mentioned in the NLM Catalog (National Library of Medicine, www.ncbi.nlm.nih.gov). Some of the most well known libraries that host his books are “The Library of Congress”, “The British Library”, “Harvard University Library”, “Cambridge University Library”, “Stanford University Library”, “The Library of Université Catholique de Louvain”, “The Karolinska Instituet Library” ,“WHO Library” (World Health Organisation), “The Berkeley Library”, “Die Deutsche Bibliothek”. 5. Debate: Homeopathy and chronic headache,Homeopathy, Volume 91, Issue 3, July 2002, Pages 186-188, G Vithoulkas. Twelve of his articles, published in peer reviewed journals, are mentioned in PubMed (www.ncbi.nlm.nih.gov), fifteen in British Library Direct (www.direct.bl.uk), eighteen in Science Direct (www.sciencedirect.com) and eighteen in Research Gate (www.researchgate.net). Seventy citations for George Vithoulkas can be found in ISI-Thomson Scientific (www.isinet.com), 46.800 references in Google Scholar and 1.030 references in Google Books. In the prestigious “Papyros Larousse-Britannica7” encyclopedia, in a three column article, he is portrayed as “leading homeopath, one of the most famous reformers of homeopathy during the twentieth century, the man who infused homeopathy with new ideas on a scientific base”. His work is also being mentioned in “Who’s Who in the World”, (18th edition, p.2293). His name is mentioned in the website Better World Heroes (www.betterworldheroes.com8), among approximately 1.000 personalities whose work influenced or helped humanity. The German website mlahanas (www.mlahanas.de9), when evaluating thirty four Greek doctors and professors of medicine who have excelled and contributed to humanity through their medical papers published in the international press, ranked George Vithoulkas second, after Georgios Papanikolaou (who discovered the pap test). In 1980, George Vithoulkas was invited by the World Health Organization to write the first article on Homeopathy for the book, Traditional Medicine, published by WHO, as well as the main article in the round table discussion for WHO’s scientific magazine, the World Health Forum10 journal. In 1996, he was invited by the European Parliament to explain the position of homeopathy and after his presentation the European Parliament voted in favor for Homeopathy. In 11.6.1999, George Vithoulkas was requested by Council of Europe to make a day- long presentation on homeopathic medicine (as part of their evaluation of alternative therapeutic methods) before the Social, Health and Family Affairs Committee. The text that was published thereafter mentions his receipt of the Alternative Nobel Prize and refers to his categorization of the various alternative methods. 7.Encyclopedia Papyros Larousse Britannica, Greek edition, volume 15, page 396. 10.World Health Forum, Round Table: Homeopathy Today, “Homeopathy, A therapy for the future?”, George Vithoulkas, WHO, Geneva, Vol.4, No2, 1983.